Have you ever noticed that when it comes to following through on our goals, most of us are often our own worst enemies? We get in our own way, not because we are trying to, but because we haven’t put safeguards in place to avoid those things that get us off track. Things like a lack of clarity. Financial struggles. Our families needing us to get food on the table, every single night. Not enough hours in the day. You see it’s SO easy to get derailed and to stop pushing forward on our goals. That’s why I’m a total sucker for fresh starts! There’s nothing like waking up on New Year’s Day, full of possibility! There’s the chance for a new beginning, and the fresh opportunity to get back on track and push the “reset” button. But, how do you really make this coming year the best one yet, the year where you WILL crush your goals? 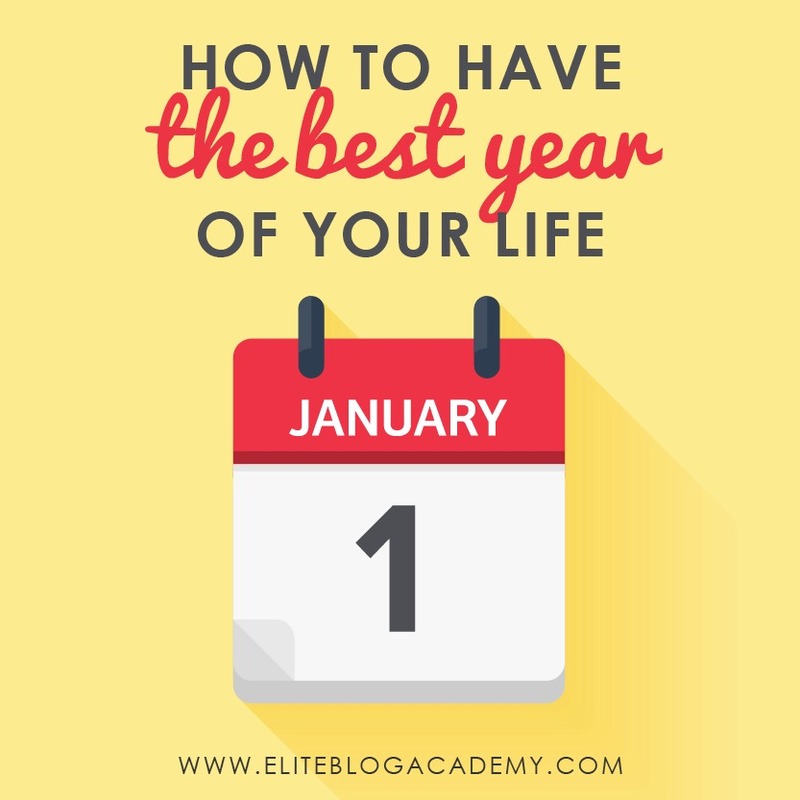 What I’ve learned through years of trial and error is that the key to creating your best year ever is taking some time to set yourself up for success in the last couple months of the current year. So, what if, instead of sleepwalking through December and stumbling through January, you used the last few months of this year to focus on getting set up for success? Imagine how much smoother it would be if you started early, took more time to get it right, proactively tackled the things that can get you off-track, and established habits that could keep you going strong. Imagine what it would be like if you took away the excuses. You could feel fulfilled instead of frazzled, filling your days with purpose and intention instead of chaos. Luckily, in Episode 29 of the Do It Scared™ Podcast, I share five steps you can take right now to set yourself up for success today so that you’re fully prepared to tackle your biggest goals next year. Think BIG. Because without a BIG goal to reach for and tell us what to focus on, we will spend hours on unimportant tasks simply because it feels good to check them off our list. And that’s not good. Because the true secret of productivity is being able to focus 100% of your attention on your biggest, most important tasks at any given time. We need to give ourselves permission to think BIG. Allow yourself to write down even the craziest, most audacious goals and dreams without judgment or self-editing. Don’t worry either about setting time limits or making them perfect—just write whatever comes to mind. And then, from there, you can work on breaking down those big goals into more manageable bites. Start by moving a few of your goals from “someday” to “this year.” Keep in mind that while these might be items that are actually ON this big dreams list of yours, they more likely will be goals that get you closer to one of those things. Setting up and sticking to a budget might seem scary and overwhelming at first, but the truth is that not having a clear picture of one’s financial state is a MUCH scarier prospect. The ongoing stress of not knowing where you are at is far worse than a few hours spent being honest with yourself. No matter how out-of-hand your financial state may be, taking the time to make a plan for the future will always be better than burying your head in the sand. When setting up our budget the first time, my husband and I found it most helpful to make a list on a separate piece of paper of all the things that we could think of that we spend money on, as well as how much we estimated that we spent on each item. It was when we added up the total of that list that we realized how much we really needed to cut back! With a number to start with, we worked backwards, deciding what we could eliminate and cut back on, until the total of our variable expenses matched the amount we actually had available to spend. Because we can’t just stop eating, our second-best option is to figure out a way to make getting food on the table a little less painful. So by simplifying and streamlining the process of planning our menus and cooking our meals, we spend less time in the kitchen and more time on those big goals and dreams! My first piece of advice for simplifying your menu planning process is to brainstorm a list of your favorite meal ideas. This list will serve as your “go-to” list for meal planning. If you want, you can add to it over time, but this will be your first point of reference when it comes time to figure out what to put on your weekly meal schedule. The next thing you’ll want to do, after creating your go-to list of meal ideas, is create a list of pantry staples that you’ll want to keep on hand. Keep a copy of this pantry staple list in your purse, or take a picture of it so you have it on your phone so that you are able to access it any time you are at the grocery store, and you’ll be able to keep an eye out for sale items that you can stock up on to keep your pantry primed. And from here, deciding what to eat each week is pretty easy! We can all stand to be more purposeful with how we map out our blocks of time each week so that we make time for the most important things first, before those blocks disappear into the abyss. I prioritize my time by using my weekly wizard worksheet. I start with A tasks—those items that are MOST important. And by most important, I don’t mean most urgent or pressing, but the items that will get me closer to my BIG goals. Because urgent doesn’t always equal important. Then I add the B tasks—those items that SHOULD be done, maybe because they are urgent, or because there’s a pressing deadline or whatever. They are things that are important, but things that won’t necessarily move the needle towards my bigger goals. And then finally, there are the C tasks. Those things I would like to do, if there is still time. Once that is done, it is a matter of blocking out the time to make it fit. I actually take the time to schedule appointments with MYSELF for each of those tasks on my to-do list, starting with the A tasks, moving down into the B tasks, and then, if there is time, the C tasks. Whatever you use to bring your system together—use something, and make it work for you. Not only that, start using your system NOW, before the end of the year, so that come January first you will be ready to hit the ground running! For me, that is using my Living Well Planner, along with the Weekly Wizard and Daily Do It sticky notes that help me prioritize my to-do lists. The Living Well Planner is designed for time blocking and includes a monthly budget spread and expense tracking, as well as space for meal planning. It is also designed to help you set big goals, then break those big goals into monthly chunks.